It is difficult to tag “arsenal fans” by certain traits. It’s not a tribe and as such, we do not speak the same language. 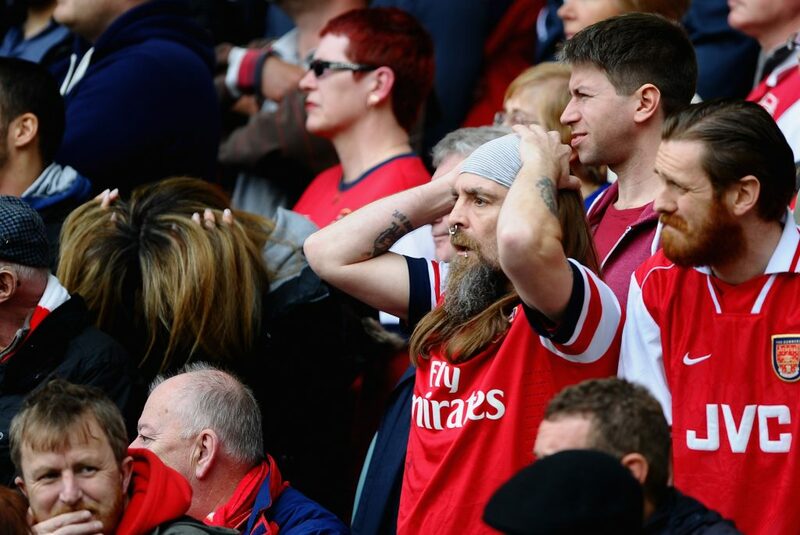 There isn’t a set of well-defined behaviours for gooners alone. Here, however, are five ways to truly become an Arsenal Fan. I don’t mean to be captain obvious but to become and Arsenal fan, you must firstly love the club (duhhh!!). You need to grasp what the club stands for and that is playing beautiful football. Arsenal has a beautiful history. We are the third highest Premier League winners, won the joint most FA Cups, Several Community Shield trophies, League cups, etc. While a European trophy still eludes us, Arsenal is still one of the biggest clubs in England and the world. 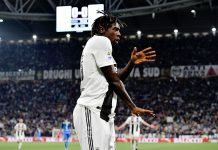 We have the longest streak of Champions League Appearance by any EPL Club. So if and when you decide to become an Arsenal fan, you must know that you are about joining a big club with a really large fan base (you seldom see Arsenal lose a twitter poll). If you are coming to Arsenal to win trophies, this, my friend, is your cue to back off. Arsenal fans (bar Piers Morgan) pride themselves in their beautiful aesthetic style of play. The seamless transition from defence to attack, deft touches, exchange of passes; it is almost unreal at times. 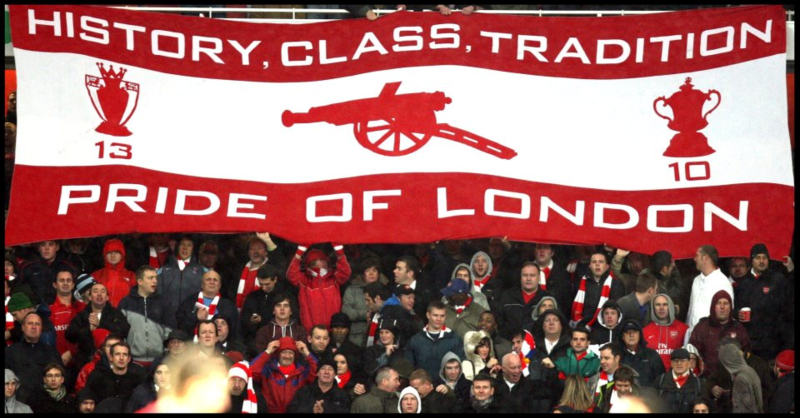 To be an Arsenal fan, you must be passionate about the club and the game, not just hunt for trophies. We won’t “park the bus” just to win a trophy. 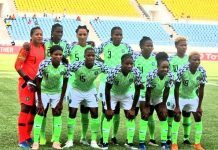 When we lose, we lose with our heads held high and a sense of accomplishment knowing we gave it our all. Yes, my man (and woman), you will have your heart broken, torn to pieces, shattered, cooked and served to you to eat (LOL, I know this isn’t biologically possible but you get the point sha). In 2006, the great Thierry Henry denied us the glorious chance of being crowned European Champions. One might argue that Lehmann getting sent off played a big role in the defeat, but prior to the red card, and even post the card, Henry wasted several chances to win the game for us. In 2011 when it looked almost certain that we were going to end our wait for a trophy, we lost the League Cup final to Birmingham City. Just last season in fact, Arsenal seemed destined to win the EPL. All the “big” teams were failing and faltering and our biggest contenders were Leicester! Needless to say we all know how that went. 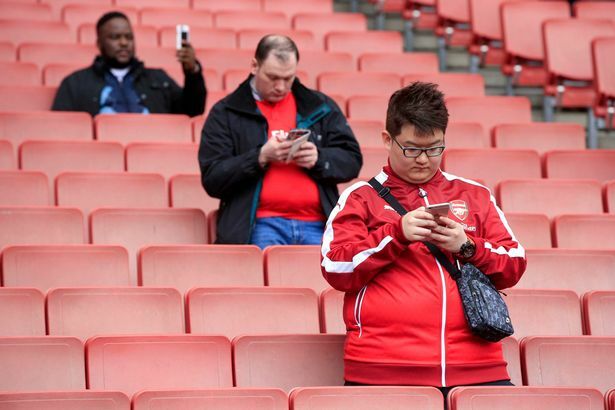 Typical Arsenal fans during the transfer window. Never gets old! Sadly, as an Arsenal fan, the transfer window ushers in sleepless nights, endless peering at your phone, refreshing the pages of “reliable” football websites and most importantly, waiting for a tweet from Ben Ornstein to know who we are going to sign during that window. The reluctance of our manager to splash money and sign quality players (prior to this season) and obvious lack in squad depth has turned Arsenal into the laughing stock of the media. We get linked to almost everyone, both realistic and unrealistic targets. So brace up for the hullabaloo that goes with the transfer window. 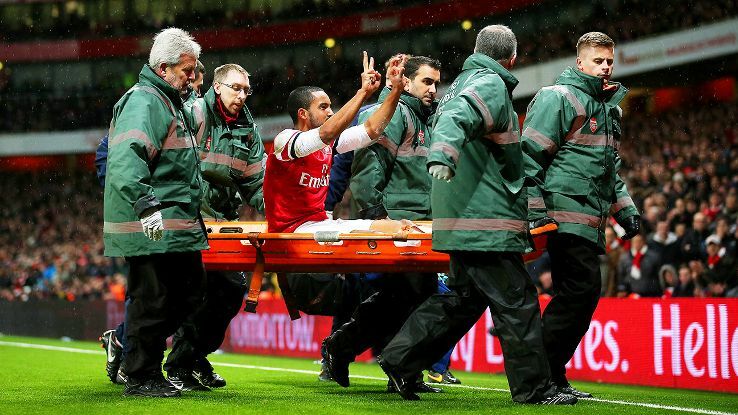 Even while being stretched off, Theo Walcott still reminded Spurs fans of the scores. True gooner indeed!